Whoever thought that there would be virtual offices? A virtual office is nothing but a company purchasing an address from where all the communication takes place with the remote teams. Having a remote team is another trend that is rising mainly because it reduces the cost of holding the team in an office space. The concept of remote work may excite many people and it may look very pleasing from a distance. However, remote workers face many challenges like isolation, the difference in time zones, interruptions at home, technical issues and so on. These problems may have a detrimental impact on the productivity of a worker. The benefits of this kind of a work setting exceed the shortcomings and this is why a large majority of employers are now sticking to remote teams. In 2012 – 2013, Professor Nicholas Bloom selected a group of 9 students to work from home for a Chinese travel agency. The study spanned 9-months and the conclusions drawn were truly mind-blowing. It was found that the remote workers were 13% more efficient than the in-office employees working for the travel agency. Also, 6 of the 9 remote workers took significantly less sick leaves and the remaining did not take and sick leaves. 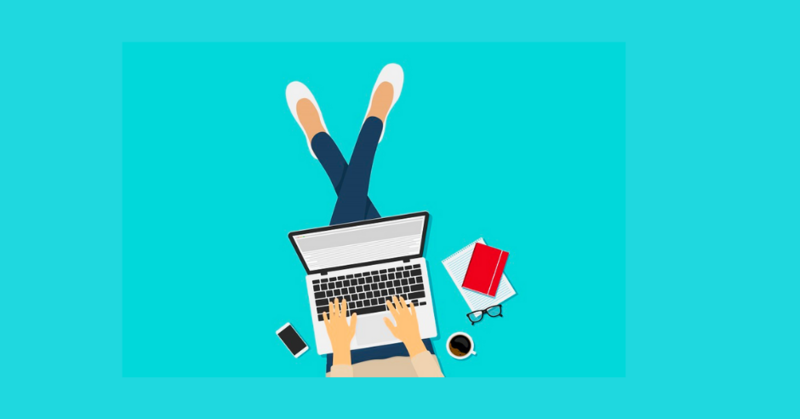 Flexibility Increases Productivity: Remote workers have flexibility which basically means that they can work during any time of the day which suits them the most. Workers know when exactly they can work at the peak of their productivity level which helps to increase the overall productivity of the company. Remote Workers Put More Hours: Because of the flexibility, remote workers can work after the business hours as well. They have the luxury to manage their personal commitments alongside business ones. This basically means that they have 24 hours to accomplish the tasks of the day. Office-goers are not entitled to this privilege. No Distractions: The office floor can get a bit too noisy at times which may hinder the performance. All employees do not have their own cabin spaces where they would not be disturbed by noises, people moving around, lose focus, etc. Remote workers have a dedicated workspace at their houses where they can work with full concentration without any distraction. Also, they have access to everything starting from coffee to books to keep them motivated. Less Sick Leaves: As mentioned above also, the downtime of remote workers is way less than regular office goers. Office goers have a long day as they have to get up early to get ready and commute to the workplace. This can take a toll on the body whereas remote workers can utilize this time to rest, do some exercises and if you are not into all this, you can simply start working early and finish the work on or ahead of time. A healthy work-life balance is a must to reduce the downtime. Remote Workers Are Happy: According to recent research, it has been found that remote workers are happier than office goers because they are autonomous and feel that the company values them. The research proved that 8 out of 10 remote workers were happy with their work whereas 6 out of 10 office goers were happy with their work. How To Ensure That Remote Workers Don't Fall Behind Time? Meet Regularly 1-ON-1 Via Video: Skype is perhaps the most common and prevalent tool for conducting remote meetings. This allows you to convey the non-verbal messages and make a little more human of a connection. Regular Reporting: This means that on a consistent basis the employees have to submit to you a report to let you know what they have been working on and what challenges they ran into. Include Them In The Company Culture: Just because they are far away doesn’t mean that they can’t participate in the activities that your business is doing. Help them feel unified with everyone else. Use A Task Management Software: There are task management applications available in the market that bring to you a snapshot of everything happening in your business in one spot. The employers can just log in and see what different remote workers are up to. This is perhaps the biggest win for any employer that has a remote team. Employ Talented Workers From Across The Globe: By defining a region of hiring, you are really limiting your prospects of hiring the top talent. When you consider the world as a recruiting field, your company learns to work with a diverse workforce. People from different regions of the world look at things from a different perspective and they might be able to bring new ideas to the company. Low Employee Turnover: Researchers have found that remote workers are happier than those working at the office. Happier workers tend to take fewer sick leaves and also the pressure of work is less. This causes the employees to stick around for a longer period of time. Savings For The Company: A company spends millions of dollars on employees working in the office space. This amount will decrease drastically if the company starts to employ remote workers. Also, the real estate requirement of the company declines along with the expenses of electricity, phones, and computers and so on. Increased Productivity: As mentioned above, remote workers have flexibility and can work when they feel on top of their productivity level. Also, they can put more hours into work as compared to office going employees. Communication: This is perhaps the main worry of employers with remote workers. To solve this problem, employers can deploy a task management tool where all employees and remote workers can log in to update the employer about the tasks they have completed, tasks on which they are working and what will they do after completing the task at hand. Also, they can mention the difficulties they ran into during accomplishing the tasks. Company Culture: Remote workers could be in different countries and this shouldn’t stop them from being a part of all the fun activities and meet-ups going in the company. Invite your remote workers to the office once a year so that they can interact with the rest of the employees. Also, conduct Skype meetings so that everyone can see everyone else’s faces. Performance Tracking: It is difficult for the employer to keep a track on the progress and performance of the remote workers. Use a work management software to track the performance of all remote workers. It all boils down to one thing and that is coordination. Remote teams will rule the future and now is a really good time to invest in a work management software. This is a one-time investment and your organization will benefit hugely from such a system. The answer to all problems related to a remote team is work management software.